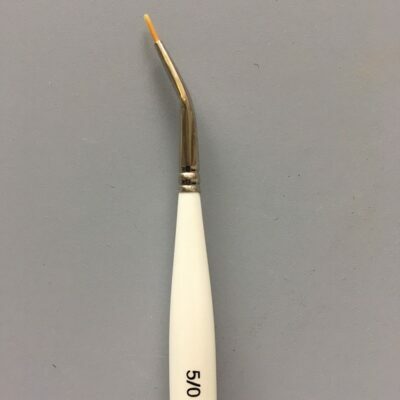 Bristle Fan —Princeton Select Series 3750 Short Handled Brushes are born from a collaboration between Princeton craftsmen and artist Willow Wolfe. They produced this high quality paint brush line. Each of the 108 individual brushes in 29 distinct shapes are constructed of synthetic or natural hairs glued securely and crimped into silver ferrules. 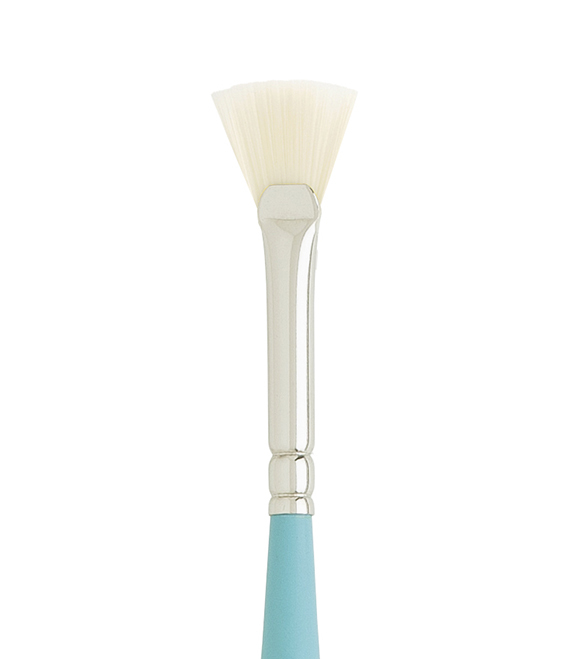 Attached is a beautiful satin-finish jewel-tone blue wooden handle. 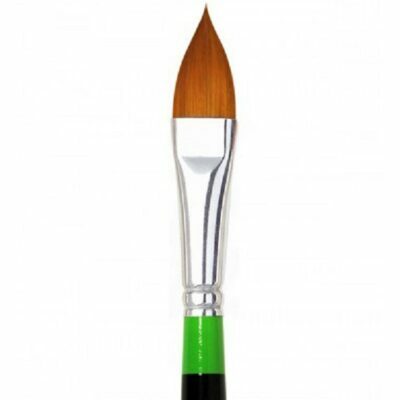 Created for working with watercolors, acrylics and oils on almost any surface. 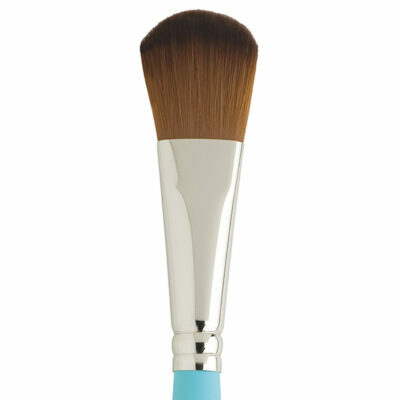 This extensive line of true mixed media brushes is also ideal for staining, painting and glazing.